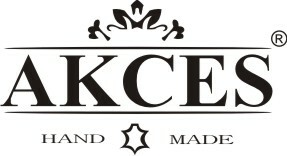 The Akces Dance brand is dance, formal, wedding and stage shoes. It is here that you will find a rich offer of models, customise your dream shoe or boot according to your own idea while the available selection of materials and options will make the product you order unique. The most professional ballroom dance shoes. Unique designs, reserved and protected under applicable patents make Proficz Dance Shoes synonymous with flexibility and comfort. All solutions are consulted and elaborated with master class dancers. This is a brand that is an innovation in the world of dance. Shoes with fitted orthotic insoles, examinations of foot function and prevention of foot dysfunction are only some of our services. Specialising in the field of foot biomechanics, we also select customised replaceable orthotic insoles. The Akces division that deals with making historical and contemporary officer shoes and boots, horse-riding boots and functional footwear. We manufacture officer shoes and boots using traditional technology, which ensures many years of use. The largest online dance shop. Several thousand ready-made pairs of shoes and a wide selection of accessories.